Available for use in classroom setting or distance learning! Starting your Bible Institute will be simple using the step-by-step guidelines found in your Launch Kit. The pastor/teacher (who serves as instructor) will present a lecture and then assign several pages to be completed in the student workbook. Or, the pastor/teacher can conduct a distance learning school from the church. Students do self-directed studies then meet to share and discuss. 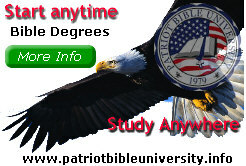 We've Made It Easy for you to implement and teach Higher Christian Education in Your Church. 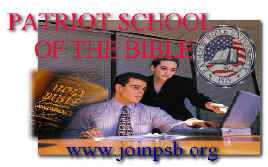 Make Bible Institutes.org your curriculum provider. Is This Right For Your Church? Quantity discount pricing makes this high quality program affordable.